On this morning’s Today programme on BBC Radio 4, their Business Editor asked Peter Bellew, the COO of Ryanair, why he thought NATS would discriminate against his airline, and Stansted Airport, to cause them unfair levels of delay. The short answer is that we wouldn’t, and we don’t, discriminate between airlines or airports. We have a duty to ensure fair access to controlled airspace for all users, and to ensure their safe passage through it. 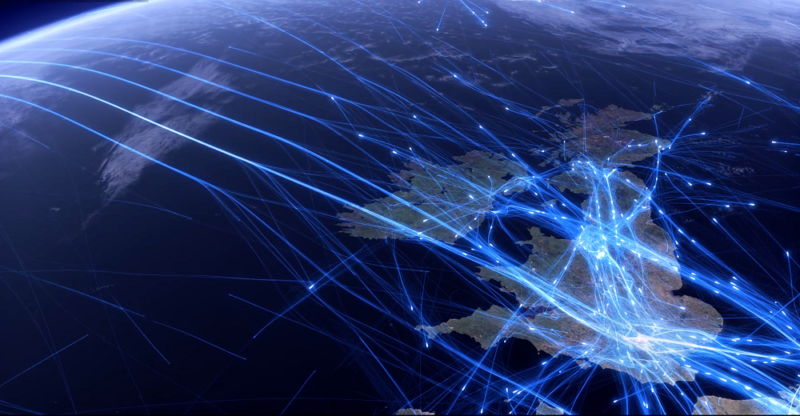 It’s our job to optimise the performance of the entire UK airspace network and we’re continuously measured on our performance. Ryanair’s latest complaint, about punctuality in the first three months of this year, relates to the ExCDS transition – bringing our service into the digital age – which, in January, specifically affected the airspace around Stansted and Luton. It was the second of five planned transitions over seven months which started in November last year and were completed in July. First to transition last November was the northern part of the London Terminal Manoeuvring Area; Luton/Stansted in January; Heathrow/Gatwick and the south in April; London City and Thames in May and Midlands/Capital in June. Each had a three week envelope around it where we worked really closely with the airlines and airports to understand and mitigate the impact on their operations. For each transition we offered tactical re-route scenarios to help avoid the worst of the delays. Most airlines took up the opportunity – and I’d like to thank them for their great engagement in the transition. Those that didn’t suffered comparatively poorer on-time performance as a result, and then complained after the event. Of course we have occasional staffing problems. 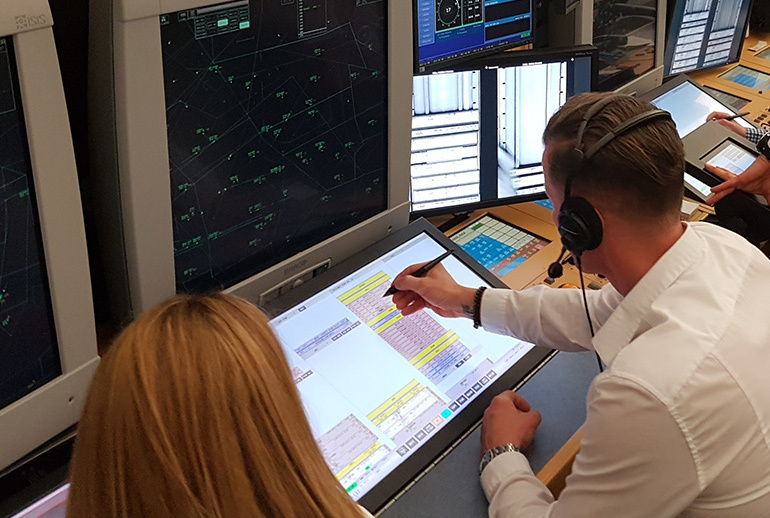 We roster our Air Traffic Controllers so that we have the right number at any one time to safely control the aircraft – we don’t want our customers to pay for more service than they need. However, Air Traffic Controllers get sick just like everyone else. On Sunday, we needed two controllers at our Swanwick Centre to safely provide a radar service for aircraft arriving at Stansted overnight. On Sunday afternoon one of the two Controllers due in at Swanwick called in sick ahead of the night shift and, very unusually, on this occasion there was no replacement available. As is standard in such circumstances, we worked with the airlines to understand their overnight schedules and planned the one controller’s essential safety breaks around those. Once a break is notified to pilots, planners and others, which means a temporary stop on services, it cannot be changed. What we can’t plan for is unforeseen delays at the other end of the route or while aircraft are en-route. Unfortunately, a small number of services, including two Ryanair flights, were delayed on their way to the UK meaning they could not achieve their original arrival time. On Sunday night this delay happened in French airspace. On many occasions this summer it has been German airspace, with Karlsruhe proving a particular bottleneck. And all of the European providers, including us, have been challenged by the weather this summer with many days disrupted by thunderstorms which have required regulations to be put on the traffic flows, especially on these busy east-west routes in and out of Europe. But the broader point is that the airspace in the south east, especially over Essex where we have very busy East/West routes, is at full capacity. No amount of additional staffing can put more traffic through airspace than it can safely absorb. Stansted has seen growth of between 5-9% per year over the past five years while Luton has had two consecutive years of more than 12% growth. This has contributed to an increase of over 20% in the demand on the Essex airspace above Luton and Stansted in the past three years. All of this new traffic has to be accommodated – safely. That’s why we now need urgently to modernise the UK’s airspace which hasn’t been restructured since the 1950s. A major programme, fully supported by the Government, is now under way. The immediate priority is SE England, which is incredibly congested airspace where we have five major airports in close geographic proximity. Even as a priority, it will take some years to make sure we have a safe design, which reflects the airports’ growth plans, and to make sure the general public, particularly those overflown, are properly consulted. It will be 2025 at the earliest before we can implement change. Our customers, the airlines, have said this is the most important part of our investment plan for the next five years and they really want to see a difference. Helping reinforce the case for that change, with their passengers and in their meetings with the European Commission and our own authorities in the UK, is where the airlines can and should channel their very considerable energies. Was Peter Bellew corrrct when he said that NATS is owned by a number of (mainly Heathrow based) airlines? NATS is a public private partnership between the Airline Group, which holds 42%, NATS staff who hold 5%, Heathrow Airport Limited with 4%, and the government which holds 49%, and a golden share. USS Sherwood Limited – a university pension fund – actually owns 49.9% of the Airline Group, so it’s a bit of a misnomer. The rest of the Airline Group shares are owned by British Airways (16.68%), Easyjet (13.18%), Pension Protection Fund (13.18%), Virgin Atlantic (2.04%), Lufthansa (2.04%), Tui (1.8%) and Thomas Cook Airlines (1.17%). Juliet is Operations Director at NATS, leading the day-to-day running of Swanwick and Prestwick Centres and the airports where NATS operates. Previously Juliet was Operations Director at Swanwick. Appointed to the role in November 2012, Juliet was accountable for running the largest Air Traffic Control Centre in Europe. She was responsible for the regulated en-route Air Traffic Control business and operations across England and Wales, which also includes the approach services for the five biggest London airports and management of the London Terminal Airspace, some of the busiest and most complex airspace in the world. Juliet has over twenty five years of ATC experience both with NATS and in the RAF. She has worked for NATS for over twenty years and her previous role was Operations Director, Airports in which she was responsible for service delivery and management of the airport ATC contracts NATS operates across the UK. She spent ten years as a controller at Stansted before moving into a series of operational managerial roles including General Manager at Gatwick.